Over the next few weeks, much preparation is being made inside West Papua for major demonstrations, civil resistance, community engagement and commemorations, across Papua, Indonesia, the Pacific and the World, of the significant and sacred West Papuan anniversary of thwarted independence on December 1.Unprecedented mobilisations are likely inside West Papua, and unfortunately, unprecedented crackdowns from Indonesian security forces on peaceful Acts of Free Expression by West Papuan people are highly likely. Without pre-empting any actions by West Papuan civil society, this will be one of the most important times that journalists and advocates with an interest in West Papua can assist in the dissemination of coverage.This is a call out for every journalist that reads this, and for any more that you may feel like forwarding this to, to urgently contact and work closely with West Papua Media and/or your own local trusted sources inside West Papua, and to start today to harass your Editors to provide standby space and airtime for the situation inside West Papua. We ask for this to be an example of collaborative effective journalism, that we can provide coordinated “crowd” coverage from credible source, to get this the attention it needs to prevent bloodshed. Each one of you have an important role to play to enable a Protective Journalism Environment, where international attention can prevent state violence against civilians. West Papua Media will be sourcing in real-time (or as close to possible) original video, audio and photographic content, and will happily syndicate any content for attribution and appropriate payment/donation/in kind support. West Papua Media is also calling out for any professional journalists not currently reporting for an outlet to join our team to assist with coverage. 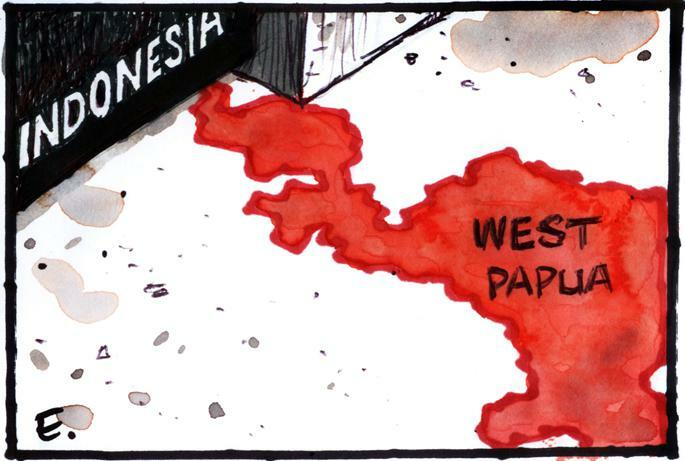 For any more info or questions, please contact Nick Chesterfield, Coordinating Editor at West Papua Media, on +61450079106 or at editor<at>westpapuamedia.info (GPG key available on request). You can also send a secure hushmail to wpma<at>hush.ai if you want to stay off the grid.